It felt like my old insecurities were coming back. I had pushed them so far from the surface that I believed they were gone. The words meant no harm. They weren’t directed at me. But, when your own child is being discussed, then it’s as if the attack was made on you. The discussion was meant to try to find out why my 1 year old was not yet walking. His peers had started. My son, however, decided he wasn’t quite ready after 2 steps. I felt crushed. He wasn’t fat and as far as I knew his feet were normal sized. Yet, these words were making me rethink things. My insecurities about my own body were slowly being projected onto my son. A comparison was made between him and another child in the room. The other boy was almost 2 months older, “had bigger feet”, and was walking/running for a while now. It made me feel like I was inferior as a parent and my son was slow. These words cut like a serrated knife. This person had no idea, but I’m not able to physically carry my son for long periods. I have back problems, so heavy weight exacerbates the discomfort. Thus, I can never hold him as long as I want to, no matter how many times he’s wanted me to. Additionally, I don’t have too much time with him during the week. I wish I could be there to even establish that desire to be constantly held. That’s working mom life. It’s important to iterate that the person who commented meant no harm and were in no way trying to hurt us. They have no idea how sensitive I am about my son and his progress. They don’t know what their words make me feel. They have no idea that the things they said were similar to ideas and thoughts that triggered postpartum feelings. I bite my tongue to avoid any defensive words from coming out. I don’t want to be this way anymore. I don’t want to be so sensitive to innocent conversation. I try my best to ignore it. 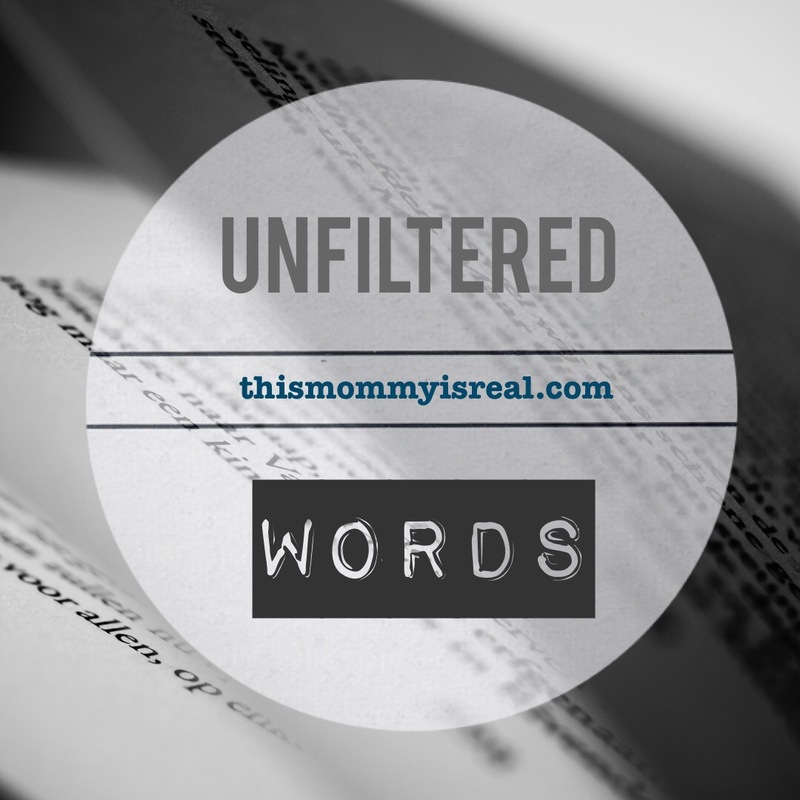 I don’t want to believe in them, but those words…those unfiltered words have more strength than I expected. I hate when people try to blame children’s development on the parent. Having four kids, I know that each of them grow, talk, walk, and learn at his own pace. There is nothing I can do to rush it. At 20 does it matter if my kid walked at 8 months or 15? Does it matter that she started reading at 7 or preferred history to math? Nope. Good for you for realizing you needed to find confidence in yourself and ignore the nay Sayers! You’re absolutely right! Thank you for saying this! There’s nothing we can do but nurture them. People always offer such unsolicited advice. They also don’t seem to think of how harsh the thoughtless comment can seem when someone is already feeling insecure. Walking and running at 1 years old for a boy isn’t “normal”. Every kid grows at their own pace. Boys learn to walk and talk later than girls, but again each child is different. Reo was that walking/running kid at 1, but Kio was 6 months LATER than Reo and I’m so thankful for that. I know it’s not easy, but don’t compare your lil one to other. Let him grow at HIS pace. Your child is beautiful and precious. He will walk, talk, run, and everything else in his own time. His time line is his own and that’s perfectly wonderful, perfectly unique. He is fortunate. He has a loving, caring, sensitive mom to help him find his way through life. Every child develops at a different rate and it’s not anything to do with parenting or how they’re built, it’s just something that happens. I wish other parents knew how to keep their opinions to themselves. Thank you for being so transparent! I can definitely relate as I’m highly sensitive about my 2 year old not yet talking. It can be difficult not to allow our insecurities to overshadow a slight comment or question about something sensitive, but I’m learning that every child learns at a different pace. We can’t let what other kids are doing, to make us feel like our child isn’t up to par. Best of luck to you, Mama! You’re little one will walk soon enough!